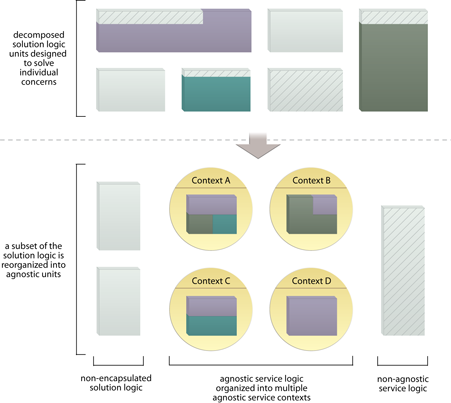 How can multipurpose service logic be positioned as an effective enterprise resource? Multi-purpose logic grouped together with single purpose logic results in programs with little or no reuse potential that introduce waste and redundancy into an enterprise. Isolate logic that is not specific to one purpose into separate services with distinct agnostic contexts. 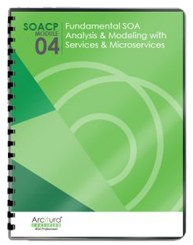 Agnostic service contexts are defined by carrying out service oriented analysis and service modeling processes. This pattern positions reusable solution logic at an enterprise level, potentially bringing with it increased design complexity and enterprise governance issues. The application of this pattern results in a subset of the solution logic being further decomposed and then distributed into services with specific agnostic contexts.